You don’t have to be a scientist to have heard the buzz of the past few years revolving around Artificial Intelligence, or AI. Whether spawning from concerned workers, aspiring journalists, or excited techno-positivist engineers, the predictions and ideas of what AI holds for the future of mankind continue to be at the forefront of modern discourse. One of the most fundamental conversations regarding this advanced technology revolves around how it is going to transform the workplace, in some cases creating new tech jobs, in others removing the need for human interaction in it’s entirety. The fact of the matter is that AI is already here, and is present in a lot more ways than some realize. Out of the many professional working roles that it has begun to permeate, customer service, stands at the vanguard. With more and more consumers turning to online shopping and e-commerce services, the demand for flexible and efficient customer service agents is steadily increasing. At this moment in time it is predicted that, by 2025, AI will power 25% of all customer communications. Although you may not realize it, that chat that you are having with an ‘agent’ regarding your misplaced mail order, could in fact be a one-sided interaction between yourself and a digital entity. Or, perhaps you did realize it. Perhaps the bot that you were speaking with was so clunky and unresponsive that you now view that company through a less-than-favorable lens. Maybe, upon returning to the first service, you realize that you are starting anew, that the bot is oddly unresponsive to your needs. Regardless of your experience, statistics show that, despite automation being an effective way to hone response times and first call resolution, people generally still prefer to interact with… well… people. In a recent IDC study sponsored by one of our partners, Avaya, it was revealed that 40% of customers seek the help of humans when filing complaints or delving into special products. This surprisingly high number is reflected all across a number of industries: hospitality, cable TV, financial services, the list goes on. The bottom line is that, no matter how streamlined the service, a live person is going to make your customers happier then any automated chat-bots can. Sure, these numbers may seem glaringly obvious, particularly for the average consumer. Humans are social creatures; therefore, we are intrinsically more comfortable dealing with each other rather than machines. As has been iterated countless times by a number of studies, organizations, and even Algo blog articles, personalization is one of the key factors behind driving advanced customer support. 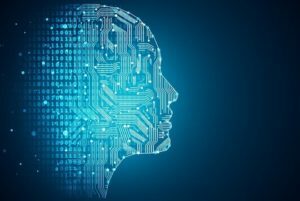 Although AI continues to grow more advanced, at this point in time there is nowhere close to the customizable options and personal touch that form the foundation of exceptional service. Once again, research into the matter has proven that customers have more positive associations with brands and products that utilize human interaction. You may be wondering, what does this all mean? Well, if there is anything that should be taken away from these studies, or from this article itself, it is the fact that people need to work alongside technology rather than having technology override human functions. This does not mean that companies should not be seeking further methods to upgrade their services, far from it. What organizations need to understand is that technology does not create the culture of trust, integrity, and accountability that drives the provision of good service. To those business owners seeking to evolve into a AI-abundant entity, we urge you to think again. If you wish to succeed and ensure that your clientele views you as a reputable source of information or materials, then hold up on the robots and put a human being back into the office chair. If you have any further questions regarding upgrading your services and improving the proficiency of your customer service team, then don’t hesitate to contact Algo Communcations Products Ltd. For the full IDC Whitepaper, follow the link below: https://bit.ly/2QJlrF2.